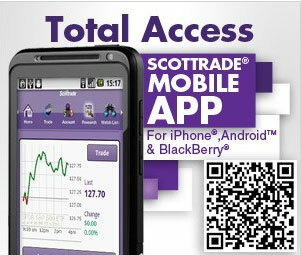 I used to trade via Scottrade. I call them the most honest broker with the least amount of hidden fees! I did move on though since there were other brokers with lower commissions. I use Scottrade and I love their new streamer. They have a new referral code: IXFV9382 that will get you 3 free trades to try them out. I also lik their new web-site over their older site. Open any type of account with that referral code and receive 3 free trades.